I am not a big fan of American food I confess. Big burgers, sandwiches et al do not excite me at all. I much rather eat global comfort food.But when The American Joint a vegetarian eatery opened in BKC Mumbai last year, I was intrigued. Unfortunately I was unable to visit the place, so decided to remedy this by going to the newly opened second outpost in Borivali West on Link Road. And to my utter glee I discovered it offers an interesting mix of American food and raw Indian flavours. That is not all, I loved the fact that they use only organic fruits and vegetables and serve food free of chemicals and preservatives. Kudos! The ground floor section was buzzing with people on a Monday night. I was impressed. The first floor too seemed packed and the third section on a raised level is where I was seated. The cheerful vibe and decor in green with elegant ceiling lights caught my fancy immediately. The menu looked attractive and the food reasonably priced. Oodles of cheese in most of the dishes. That is what struck me immediately. But then it is American comfort food we are talking about. Sandwiches, burgers, pizza, some avant garde fare, desserts, mocktails and shakes were attractively presented in the menu. The creamy baked potato soup doused with cheese was warm and comforting. I was speechless as the luscious flavours filled my mouth. The pita bread and hummus was perfect too- both in texture and flavours. The olive oil on the top however could be a tad less. The In-house veggie burger was tasty, but a bit messy and ought to be served wrapped in paper, as it might be easier to handle. The salads are fresh and bursting with flavours and are everything a salad should be. The food is well-presented in a fun and quirky manner which of course seems to be the order of the day. Vegggidilla – tortillas made with in-house flour caught my eye although I did not try those. Chole rice bowl – a meal of spicy chanas and rice can be both comforting and filling. College goers and fans of fries are going to love the exhaustive section with a variety of fries.Indulgent and sinful, but innovative too. The San Francisco Garlic and Sweet Potato fries sounded very unique. The flavours and good quality ingredients shine effortlessly in each dish. There is clearly no compromise there. The service staff although affable and polite requires some more training as it is only the first week of this new outlet. The dessert section offers ample variety. The Ferrero Nutella mousse made in house was the piece de resistance undoubtedly. With the texture of a soft fudge, laden with nuts and crushed cookies, it is the stuff dreams are made of for chocoholics. This restaurant clearly has a lot of potential and promise, once it overcomes the minor hiccups that occur when a restaurant opens. It is a great family dining destination as well the perfect hotspot for youngsters to relax and unwind over good vegetarian food. My first visit to the casual dining restaurant California Pizza Kitchen aka CPK, at BKC, Mumbai, turned out to be a memorable one. 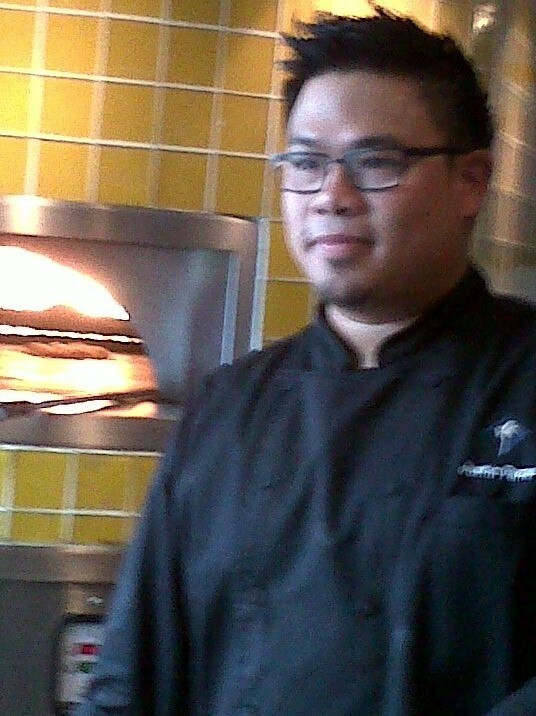 I was actually going to meet and witness the International chef, ‘Chef Justin Parras’ make hand- tossed pizzas. Known for their innovative, non-traditional pizzas, such as the Original BBQ Chicken Pizza, BLT, Thai Chicken, and Jamaican Jerk Chicken pizza, it was going to be fun watching chef prepare those. And fun it sure was. An excellent conversationalist, the energetic and witty Chef Parras regaled us with anecdotes, lesser known facts about CPK pizzas, as he hand- tossed them with convivial ease. Watching him hand stretch the artisan dough seemed so easy. He also shared the 10 Pizza Commandments that everyone at CPK has to follow. Chef Parras reiterated that the ingredients were of high quality, mostly imported as CPK serves only the best. The interactive Live Kitchen session got all of us engrossed. Chef invited some of us to participate in the pizza making process. He spoke about the 16 different type of sauces like Barbeque, Kaprow Kai (Thai inspired), Korean Barbeque from various parts of the world. These are used on the pizza base along with hi-end ingredients like Salami Napoli, Scottish Salmon, Wild Rice and innovative pizza toppings Chipotle salsa with lime cream sauce, Tostada pizza topping – shredded lettuce, roasted tomato salsa, ranch, and tortilla strips, Grana Padano. Whew! That was a vast array. 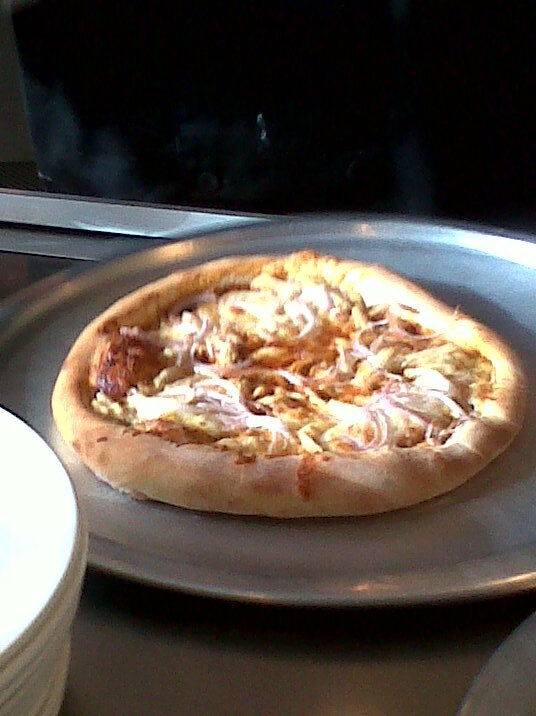 Now one knew why a pizza at CPK is so deliciously different. The ‘Hearth Oven Baked Pizza’ at CPK is really unique and there is something for every palate, including vegetarians. 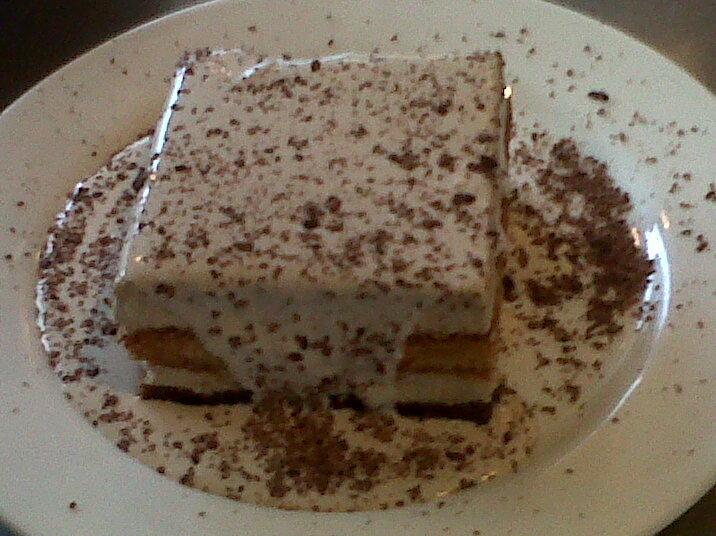 Chef also demonstrated salads and pastas and of course the ‘pick me up’ Italian Tiramisu. I had the most enjoyable evening, learning how to make pizzas. My favourite was the five meat and Kaprow Kai. The tiramisu sadly, did not live upto my expectations. They have recently introduced the multigrain pizza and what’s more, the Mexican festival is starting from April 29. I can’t wait to sample some of those delectable dishes as part of that promotion. Are you coming?